Over the year’s I’ve seen some rather jam packed final spring term Council meetings. This one was about average in length, light on content but big in setting the stage for two broad initiatives – siting an emergency shelter and legally mandating affordable housing – to move forward. The first big bang of the evening, Council approved the %15 affordable housing inclusionary zoning ordinance. Before voting for the zone, Jim Ward brought up the same fiscal equity issue I raised about this ordinance months ago. Downtown developments are only required to provide %10 affordable housing under the logic that it is more expensive to develop Downtown and that development will be driven into other parts of Town to avoid a %15 requirement. Sally Greene reiterated that the existing density and height bonuses were not sufficient to overcome developers reluctance in meeting a standard %15 requirement. Of course, while property Downtown is more expensive to develop it also demands far greater premiums – something the analysis downplays. Her argument also doesn’t account for the radically increased density/height allowances in TC-3 – the self-serving zone Council created for their Lot $5 disaster. Mark Kleinschmidt acknowledged that the inclusionary zone wasn’t fully baked and suggested that it be reviewed one year out. The zone, whose goals are laudable, could’ve used a bit more polish before setting in motion. We’ll see if the gaps are filled in 2012 (if the Council is entangled in litigation over the provisions by then). While I semi-live ‘blogged the discussion of creating guidelines, standards or zones for human service facilities there are a few more observations to add. 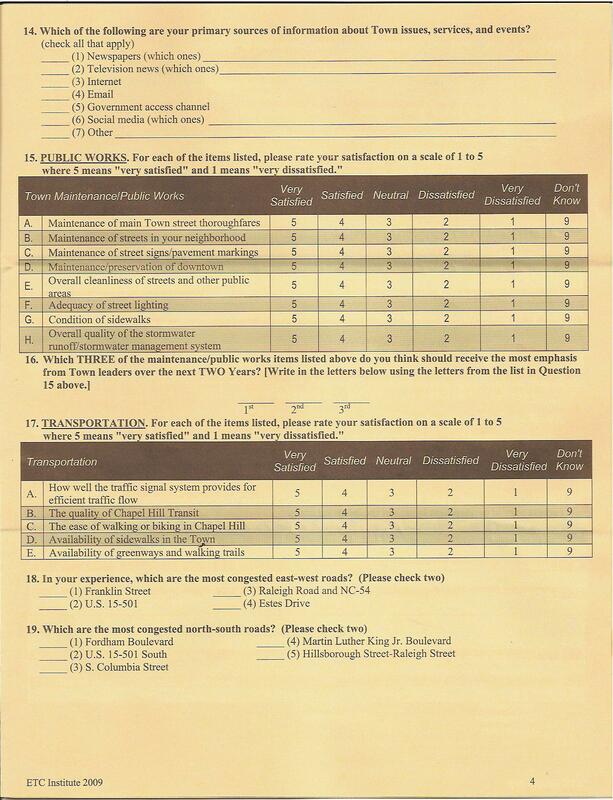 First, there was a strange juxtaposition between the discussion of siting human service facilities, including “white flag” emergency shelters, and the approval of the inclusionary zone. In initial discussions of the inclusionary zone, several of us argued that space should be allocated not just for affordable housing but community-oriented uses like human services facilities. Using a zoning process would be one way the Town could find needed space for these type facilities. We got the same response as when we asked Council to include space for feeding/housing the homeless at East54 or Lot #5 – not interested. Council continues to reject calls to make this part of our development approval process (if Roger Perry’s Obeys Creek proceeds I’ll be asking Council to set aside some of that mandated square footage or in lieu monies for community-oriented services outside of affordable housing). Second, the IFC has tried very hard to work within the rules informally suggested for siting the new Community House facility. One primary requirement was that the property didn’t need rezoning. I’ve watched Council twist zones, like the RSSC zone meant to encourage %100 affordable housing into a spot zone for hundreds of luxury condos for their business partner RAM Development, to meet their political agenda. Ed Harrison observed the current SUP process is a “crap shoot”. I’ve seen similar Council machinations use the SUP process to meet various goals (many I agree with) so why can’t we roll the dice favorably? The point being that while the IFC struggled to find a site that doesn’t need rezoning, there are many examples of where a particular zone was little or no impediment to Council approval of a project (look at the creation of TC-3 for Greenbridge, West140 and which will apply to Short Bridge development and University Square redevelopment, look at how East54’s developer Roger Perry got a range of allowances to maximize his profit, etc.). Of course, this is a main concern of Homestead’s neighborhood activists. Without binding zoning requirements (well, as binding as Chapel Hill makes them) or standards mandated by ordinance, the Council can twist the current rules to meet their own agenda and reject public concerns. The IFC continues to jump through what must seem like an endless series of hoops in an effort to provide two services, one – an emergency shelter – of which is squarely the County’s responsibility, the other – a transitional program to move folks from homelessness to established residents – which is commendable on every measurable axes. After years of marching through the desert, th group submitted their special-use permit (SUP) request this morning – moving the project forward to an eventual yea or nay vote early Fall. Neighborhood activists have already helped IFC sharpen their proposal. 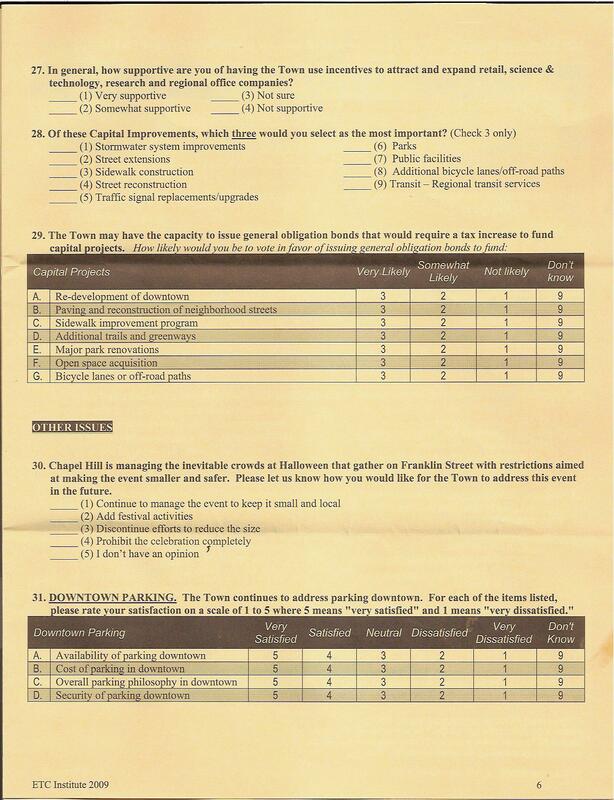 The move to address some of their concerns is what is fueling the drive to create a transparent, somewhat objective, process for evaluating siting services. As the Community House discussion lurches into the next phase, I anticipate arguments over what guidelines or standards should apply and what decision-making framework – the Planning Board’s findings, SUP process or some kind of intermediate hybrid – will dictate the eventual result. 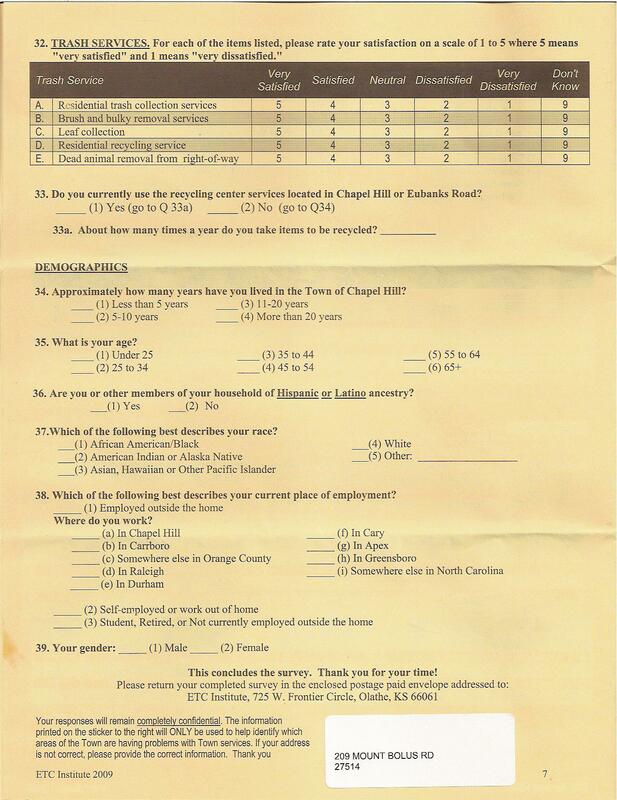 The residents of Chapel Hill deserve an open discussion on not just siting human services but providing future space for anticipated human service requirements. Not only should the current process yield a set of somewhat binding standards for evaluating particular sites but also provide a framework for measuring the cumulative impact and operational advantages of siting services compactly within the community. Finally, my hope is that the current process opens up a real discussion on this Town’s obligation to support IFC and other incredible human service groups within this community. That discussion should be frank and honest. Council must explain why human services aren’t sited at developments like East54 as part of the SUP process, why it is so easy to twist a zone like RSSC or create a TC-3 zone for their own agenda while making the IFC jump through hoops to find an existing zone and why the newly minted inclusionary zone doesn’t include a mandate to set aside square footage for both affordable housing and human services. The Council has asked the Planning Board to develop a range of regulatory options controlling the development and operation of shelters within Town. The range of policy proposals the Planning Board could create include shelter zoning, shelter standards or shelter guidelines – each with their own regulatory weight and requirements. 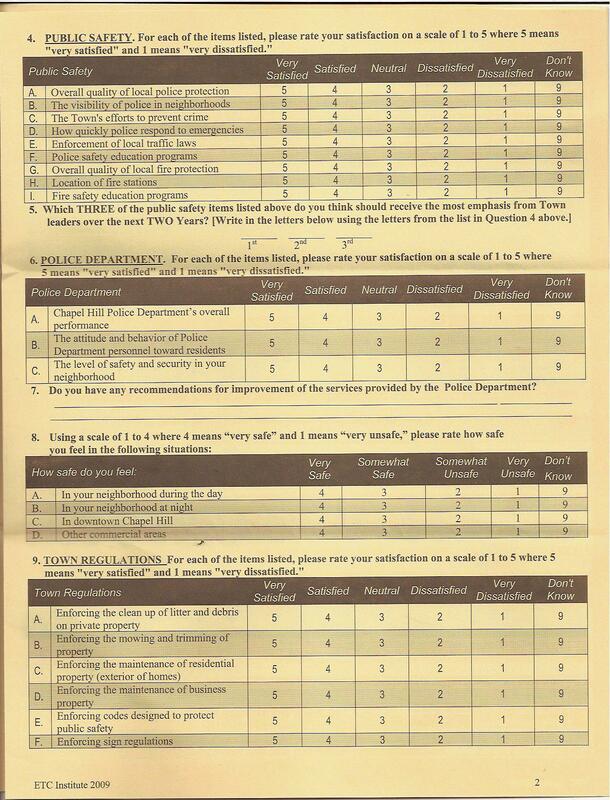 Guidelines, for instance, are broad directives – more suggestive of what is wanted than what is required – don’t have the predictability of a standard or zone. Who You Gonna Call? Deerbusters! Education and our own private “rabbit-proof” fencing seems to be the extent of Chapel Hill’s plan to deal with its exploding dear population. The Town is responding to my Mount Bolus neighbor’s Oct. 12th petition this evening with a proposal [PDF] to educate folks on how to deter expansion of the deer population. Unfortunately, rather than expanding on the petition’s intent – to manage deer population in a safe and humane fashion – some on Council immediately responded negatively to the suggestion of urban archery and acted as if it was the sole proposed solution. Though I know urban archery has been safely and successfully used elsewhere I also can understand how it might not fit here. Surely, though, there are more possibilities than outlined in tonight’s staff memo (I wonder why the Town didn’t reach out to UNC and Duke – who is managing deer populations in Duke Forest – for relevant expertise). I’m also troubled by some of the assertions made in the report, including the implication that populations are increasing due to increased food supplies made available by urban landscaping. I’ve lived on Mt. Bolus for over a decade and have seen the steps my neighbors have taken to limit access to food (we’ve put an 8′ high fence around our garden, for instance). In my Mt. Bolus neighborhood, I believe the problem owes more to limiting natural corridors than increased food supply. I also know that this year we’ve observed that the number of deer has nearly doubled from just last year – something that can’t be explained by the simple assertion that folks yards are providing a greater buffet than before. 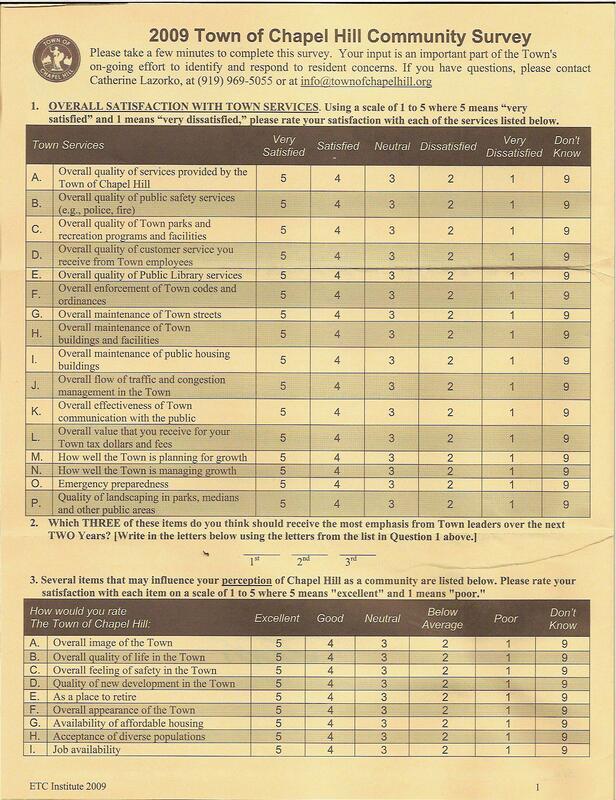 Based on the limited portions of Town on which an urban hunt could be safely conducted, combined with the issues outlined above, we do not believe that an urban hunt is a viable option for the Town. We recommend that the Council adopt the attached Resolution, which authorizes the Manager to develop an information packet for residents interested in protecting their landscaping and gardens from deer. I’m hoping that this isn’t considered an endpoint in the process and that Council will hold the public forum recommended by the Sustainability Committee. Ideally, the forum should be held by late Spring to give adequate time to developing a realistic deer population management plan for Fall (further recommendations from the committee here [PDF]. 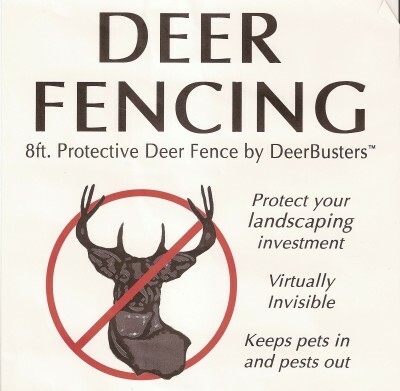 Deerbusters? I know we aren’t going to invest in an 8 foot high eyesore and I hope my neighbors don’t either…. 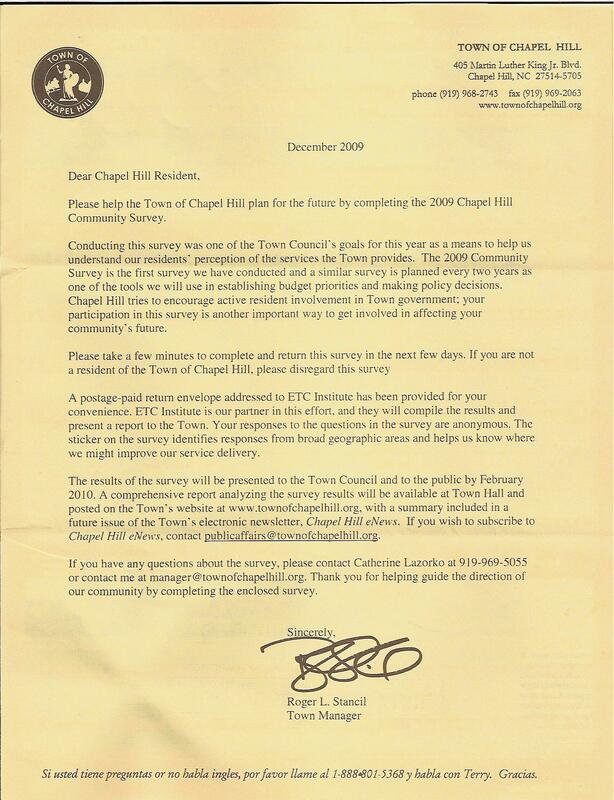 Chapel Hill’s government is finally doing the survey that the Town’s (now defunct) Technology Board recommended more than 5 years ago. 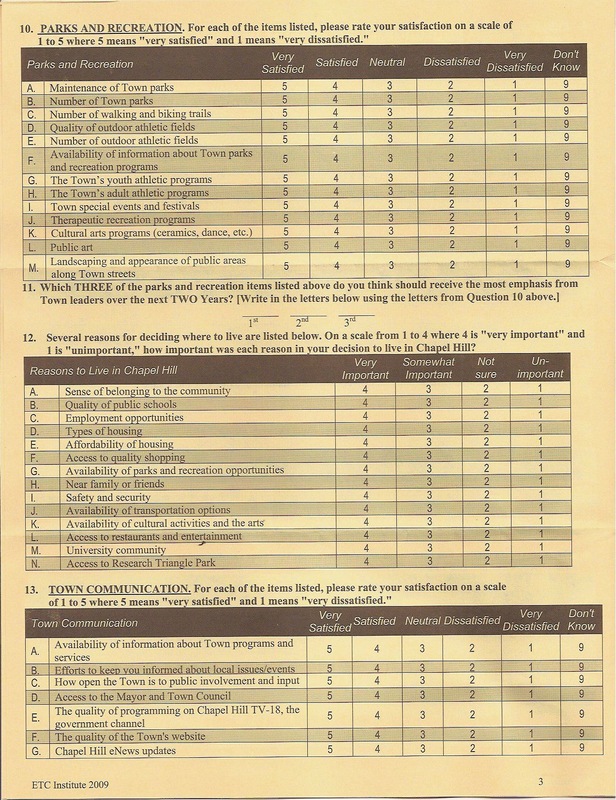 As you might expect, I have a few questions about the survey, including the cost, why it was done by an out-of-state company, how it was constructed, who it was targeted at initially (online version coming soon), how the data will be analyzed and how transparent the process will be among others. 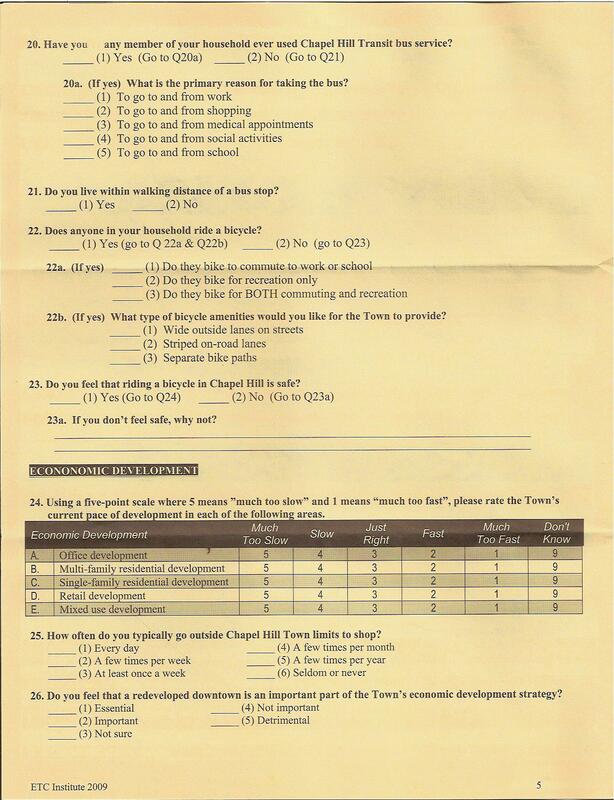 Don Evans, over on Chapel Hill Watch has already started a thread discussing the survey here (“Survey Says” ). 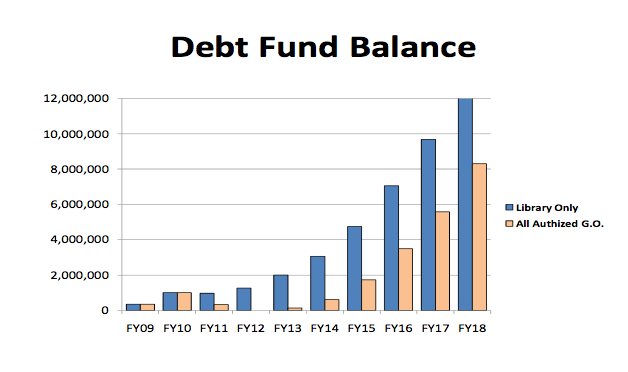 Following up on last night’s post Unfunded Liabilities, the presentation finance head Ken Pennoyer made is here [MS Powerpoint]. This graph isn’t only a call-to-arms for Chapel Hill but is reflective of why health care reform is critically needed NOW. 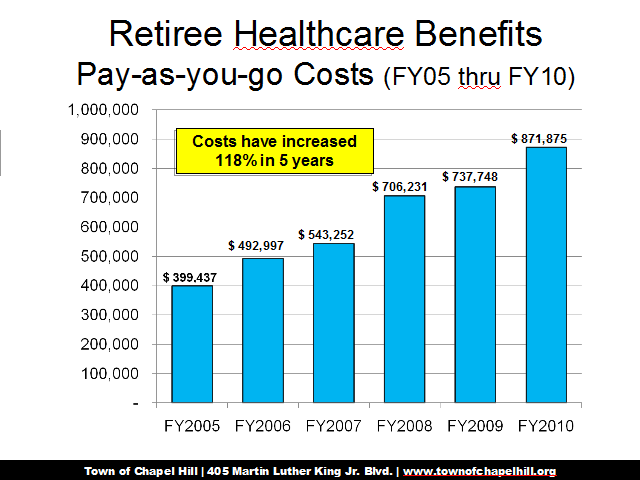 If the Town decides to change its plan in response to the OPEB criteria, the escalating cost of health-care and the inherent risk that at some point Chapel Hill’s taxpayers can no long sustainably “pay as you go”, we still must make sure that the end-result is a comprehensive, competitive, yet fiscally prudent, benefits package to continue to attract and retain topnotch staff. According to this WCHL 1360 story Downtown’s Varsity will reopen in November. I’ve seen hundreds of movies at the Varsity over the last few decades and am happy, both as a customer and someone interested in enhancing Downtown’s vibrancy, that the Varsity is returning. Until Council starts rolling out the core recommendations of the Downtown Parking Task Force, of which I was a member, it seems like a venue that is targeted at providing a reasonably priced evening’s entertainment will have difficulty making that value proposition.